You are here: Home / YWCA Montreal / Youth Services / Moved. Inspired. Loved. Empowered. Potential. Strong. Moved. Inspired. Loved. Empowered. Potential. Strong. These are just a few of the words our Strong Girls, Strong World participants used to describe their recent experience at the Strong Girls, Strong World Summit this last Fall. For nearly two years, the youth services of YWCA Montreal works with paticipants in its community, in collaboration with Plan International Canada, YMCA Canada & YWCA Canada worked in partnership with Status of Women to implement girl-led projects across Canada. 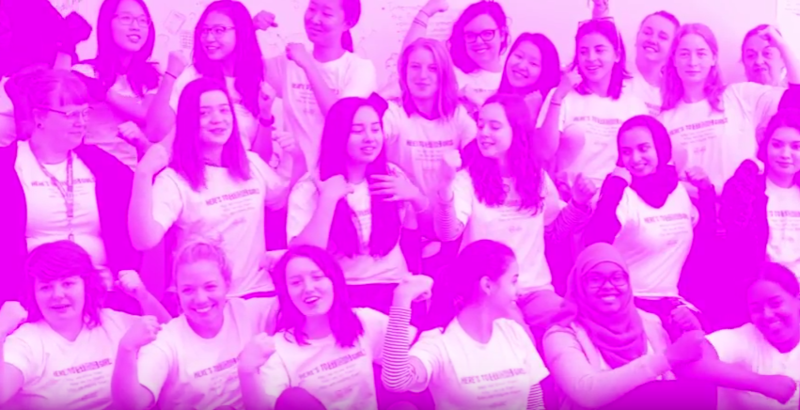 These passionate young women are leading projects in 11 communities, stretching from Montreal to Vancouver, and inspiring change across the country. Each group has worked hard to identify key issues that girls are facing in their communities and to create action plans that generate positive change.